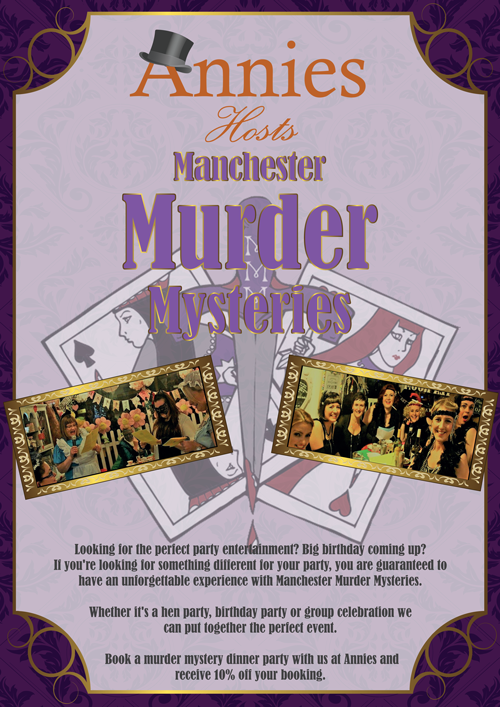 Manchester Murder Mysteries is a UK based company dedicated to providing murder mystery games and activities for parties, events and team away days. We are committed to delivering unique and high-quality events using our exclusive in-house scripts, specially selected third-party venues and trained event hosts. Our commitment to customer care from enquiry to event delivery is tantamount. We collect your name, email address, telephone number and some details about the event you would like arranged. We only collect information about you from our website if you choose to complete our Contact form or sign up to our mailing list. We collect your details via our contact form in order to communicate with you regarding your enquiry and the event you would like arranged. 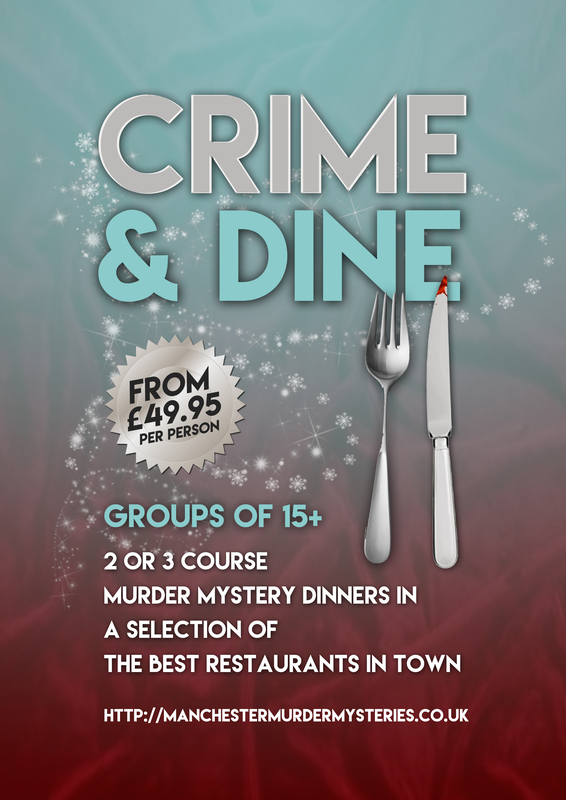 You will also be asked at this point if you would like to receive occasional email communications relating to murder mystery events. We collect your details via our email subscription form in order to send you occasional communications about our murder mystery services, news and events. 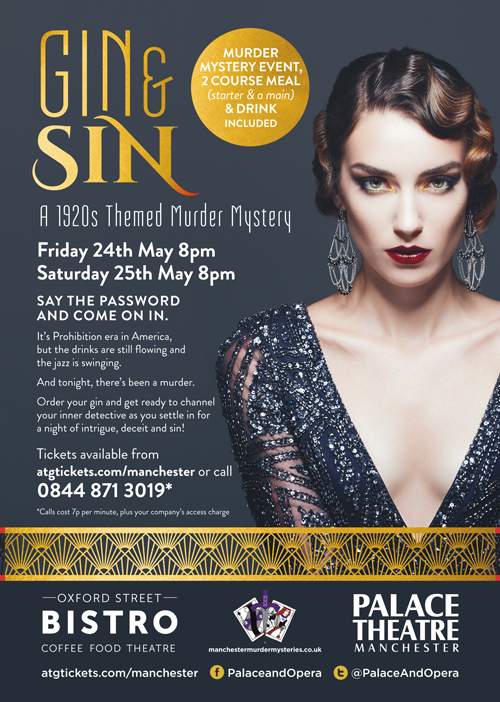 If you would like to unsubscribe from our murder mystery news and events emails, you can do this at any time by following the link contained at the bottom of all of our emails. Following submission of a contact form, your details will be used to contact you by telephone or email to discuss your enquiry. If you have ticked the box confirming that you would like to receive occasional communications, you will start receiving these updates from the next scheduled release date. Following sign up to our murder mystery news and special offers communications, you will start receiving these updates from the next scheduled release date. Where is my information stored and for how long? Your information will be stored on our secure web-based file storage system. It will also be stored on our email marketing platform from which we send our customer communications. b) We change our CRM or email marketing platforms, at which point your data will be transferred. Only Manchester Murder Mysteries staff will be able to see and use your personal data. It will not be shared with third parties or sold to anyone. What about the information I share with you about my party guests? If you decide to make a booking with us, we may ask for the names and email addresses of your party guests. This is to enable us to contact them with further event details, such as their character part, the location, start time and fancy-dress suggestions. Only Manchester Murder Mysteries staff will be able to see and use this data and it will not be shared with third parties or sold to anyone. We will also not contact your guests with emails about our services without their explicit consent. As you browse our website you will come across links to third party websites. This policy relates only to our website. Please consult the policies of the third-party website owners for details of their data procedures. How can I access, update, unsubscribe or delete my information? 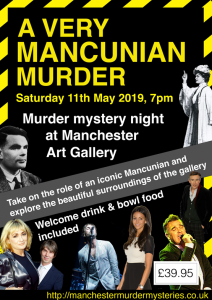 If you would like to access, update or delete your personal information from our systems, please email bookings@manchestermurdermysteries.co.uk and your request will be dealt with immediately. You will receive a confirmation email once your personal data has been updated or deleted.